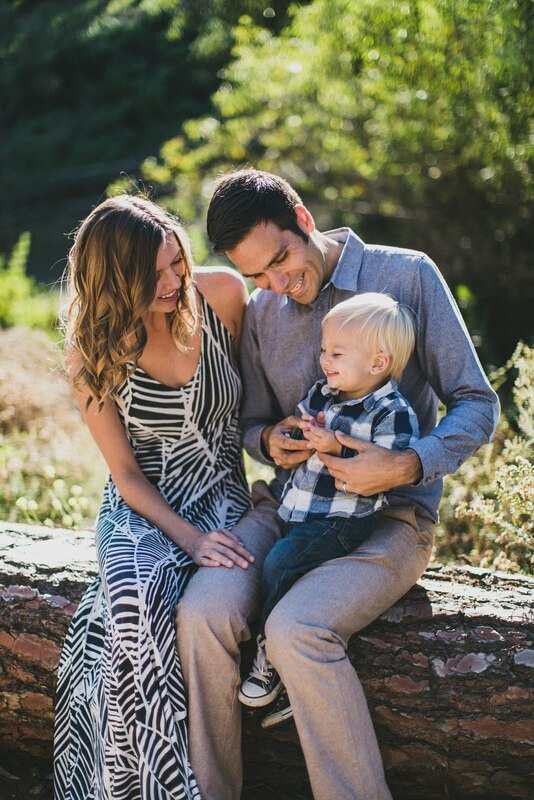 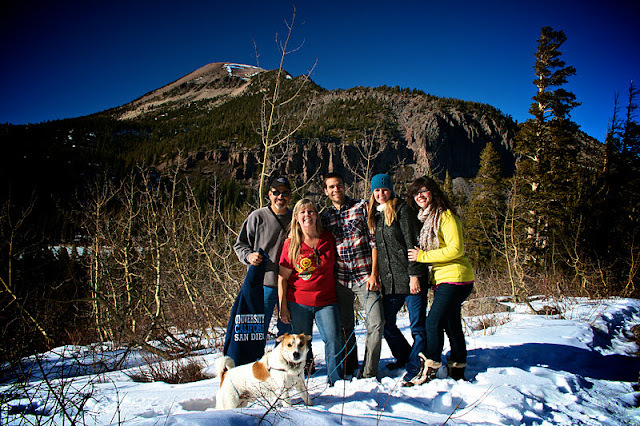 The day after Christmas we left for Mammoth with Matt's family and my brother. 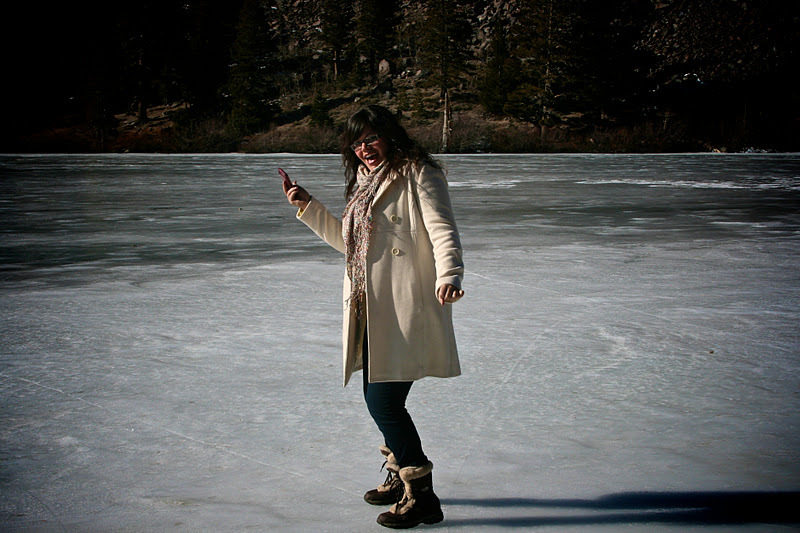 There wasn't much snow, so we had to find other ways to entertain ourselves. 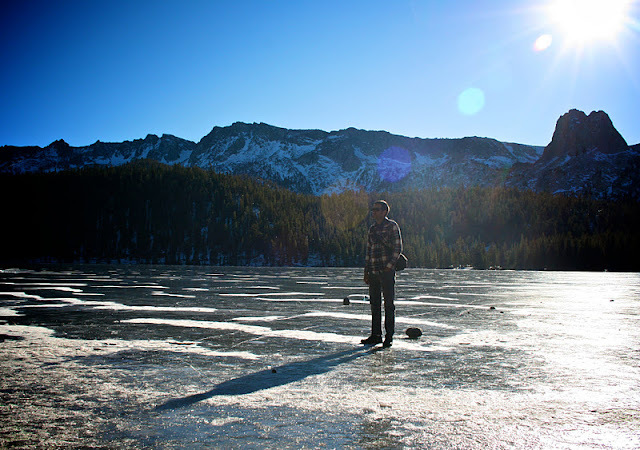 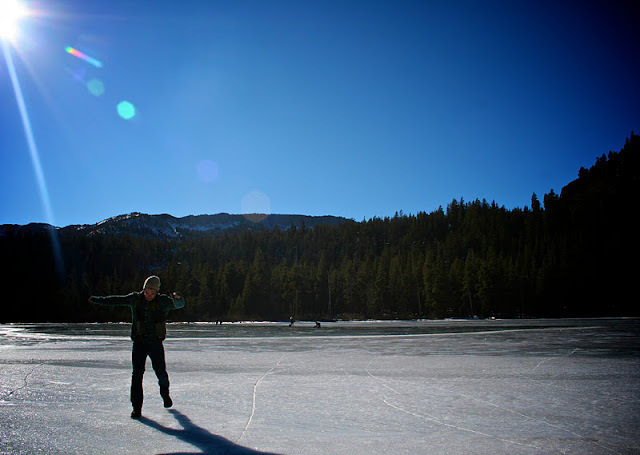 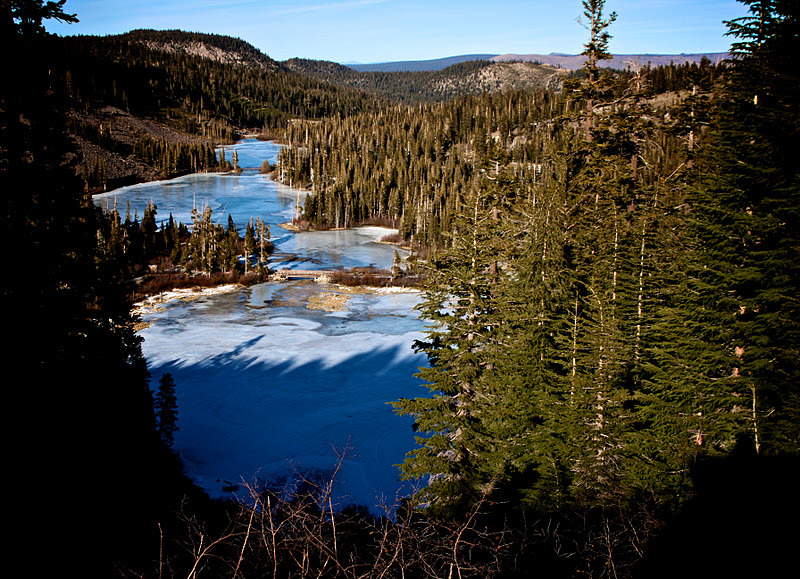 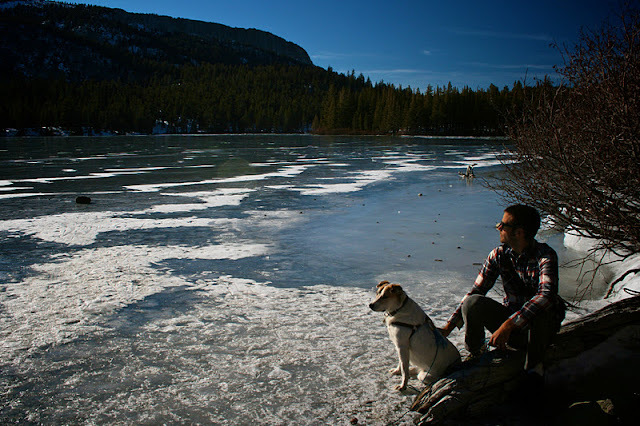 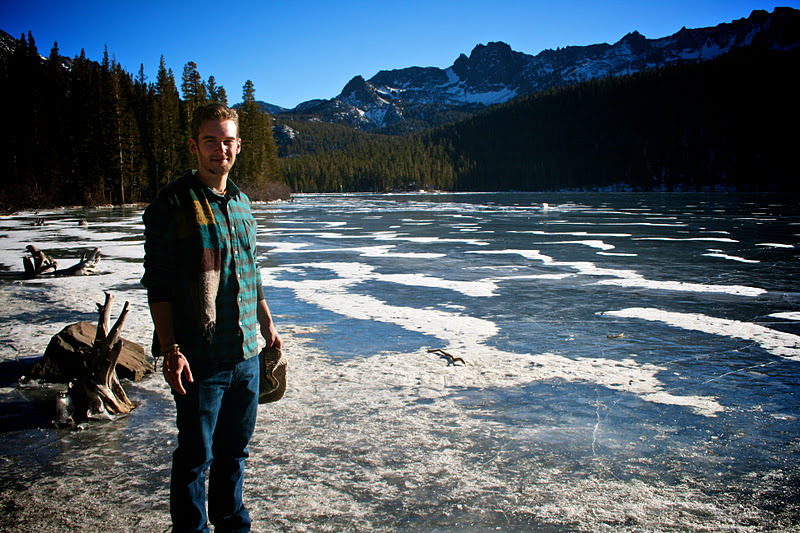 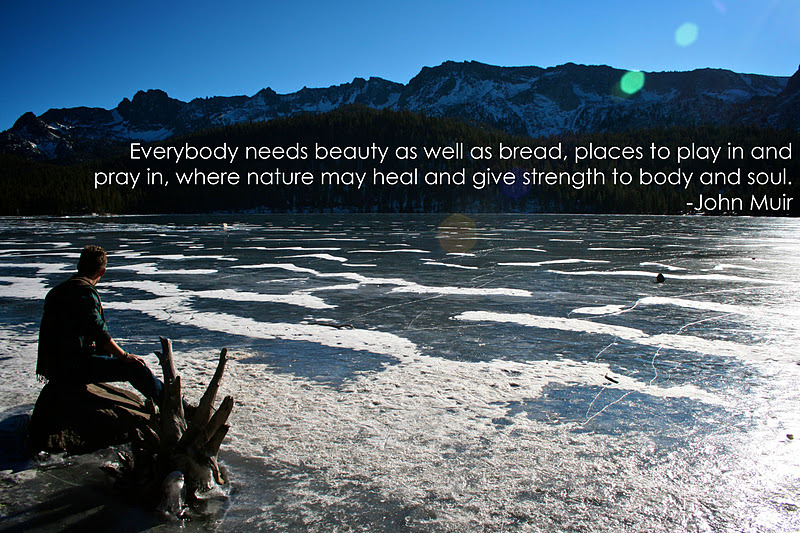 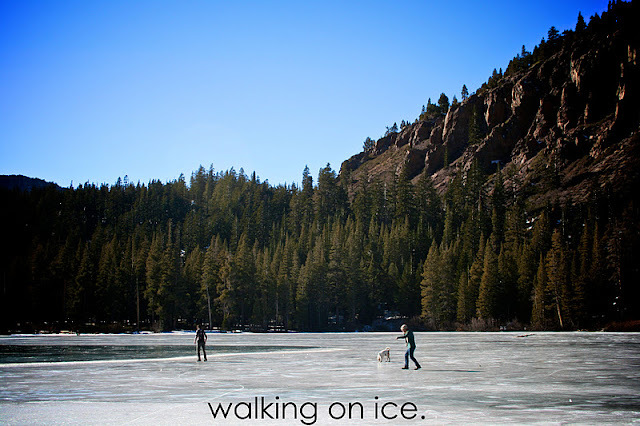 We discovered the wonder of a few frozen lakes and an icy hike through the woods. Looking down on Twin Lakes.